With our state of the art purpose built child care centres, Headstart Early Learning Centre’s have created an environment to stimulate and challenge children. The National Early Years Learning Framework is a program designed to stimulate brain development through play based learning. We offer a controlled program to compliment the success of your child’s abilities now and in later years. The first five years of a child’s learning and development forms the basis for a child’s learning in years to come by providing them with the essential skills to ensure happy, confident learners. The Early Years Learning Framework plays a critical role in developing a love of learning. During the early years, children develop a sense of self; the framework’s fundamental view draws on children’s lives as being characterised by belonging, being and becoming and ensures our centres are linked to family, home culture and home language to ensure each child is uniquely cared for. Our Activities, curriculum and facilities are designed to make children feel comfortable in their learning environment. Our centres aim to create a home-like feel with natural furnishings, colours and resources. Photos of children with their loved ones are also prominent in each room; the aim is to create an extension of each child’s home life. Our evolving curriculum recognises the significance of the here and now in children’s lives. Programs are designed around the children’s current interests and allow them to actively engage and develop relationships with others, achieve challenges and learn something new every day. During the first five years, children experience rapid growth and change. Throughout their time at our centre, Children feel a sense of becoming as we prepare them for the next age group or to move on to school. Our programs have a strong emphasis on creating and developing skills for life to ensure children are comfortable to engage in society. Headstart Early Learning Centres offer an extensive School Readiness program for children aged three to six years based on the National Early Years Learning Framework. The Framework has a strong emphasis on play-based learning as play is the best vehicle for young children’s learning and provides the most appropriate stimulus for brain development. We believe the value of play is of utmost importance to children as it is their way of learning about their world. While children are playing they are able to express their creative ability, release emotions and can share their feelings. We aim to guide your child in becoming an effective learner through creating an environment that is challenging and stimulating. The overall aim of our programs is to help your child in developing all areas necessary for success now and in later years. We accumulate a collection of your child’s artwork, photos and record any observations made whilst spending time with your little one. This will highlight the development and skills your child has established over the time they have been with us. Our portfolios are a complimentary keepsake of timeless memories you will be able to take away from your child’s time with us at Headstart. Our purpose built Care and Education facilities provide a safe and comfortable environment for your child. We pride ourselves in offering a warm, nurturing and accommodating facility for your child to learn and grow. We cater for our tiny clientele by proving age appropriate resources and facilities for example: low basins to teach the children how to wash up and little toilets so there are no spills. Headstart Centres boast qualified early childhood professionals and educators who provide educational learning programs based on children’s interests, strengths, abilities and choice. Our dedicated team of educators are experienced and understand the importance of extending on children’s home-life experiences. Individual programs are developed for each child in order to assist with and build upon their learning, understanding, communication, self-esteem and confidence. Headstart Early Learning Centre’s pride themselves on employing and retaining a high standard of early childhood educators with qualifications ranging from Trainee to Bachelor Qualified Teachers. Children thrive when families and educators work together in partnership to support young children’s learning. Joint development of a plan to help the child overcome any problems and to continue important accomplishments; and how parents and teachers can work together on a continuing basis to encourage the child to do well. 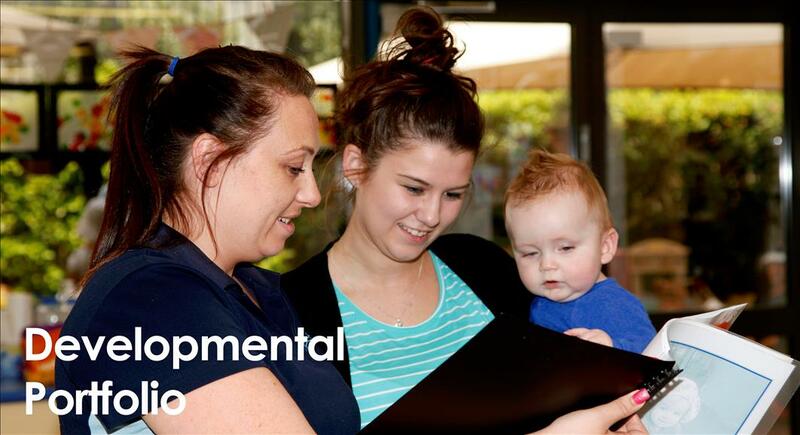 We love for parents to be involved in their child’s learning and welcome any feedback or interaction while their child is in our care.